Glebe is a great place to walk, with options including heritage streetscapes and a waterfront walkway with views of Blackwattle and Rozelle bays and the city skyline. Combine your stroll with learning about the colourful characters, social history and architectural features of our heritage suburb. 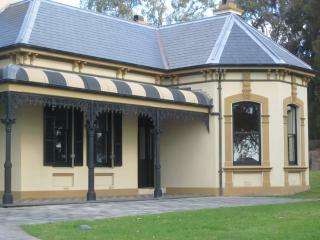 Click here to access the website Glebe Walks which offers maps, photographs and commentary for a range of easy walks in Glebe. The Glebe Walks website covers a range of varied walks. You can access the information as you go using a smart phone, iPad or similar device. Or you can download a map and description of the walk to take with you. 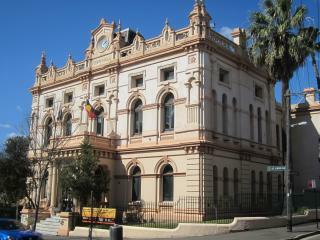 The first two of Glebe Walks have been converted to audio walks, available on the izi.TRAVEL app. The walks now available are People and Places in Early Glebe and Glebe Waterfront Walk. You can now listen to them, as well as following the route on an interactive map and reading the text. You can download the free izi.TRAVEL app from an app store to your smart phone or tablet. Then open the app and press on Explore. 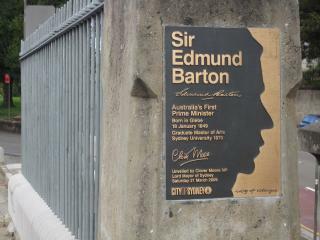 A Glebe walk focusing on the social history of Glebe and featuring a Federation giant and some colourful characters from our past. 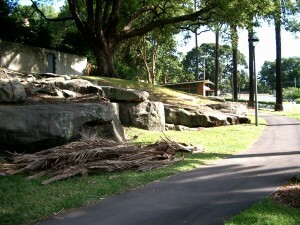 Sydney University Footbridge to Foley Park.This is a level walk of 2 kilometres. This walk covers the themes of Industry, Sport and Recreation, and includes extensive views and panoramas. 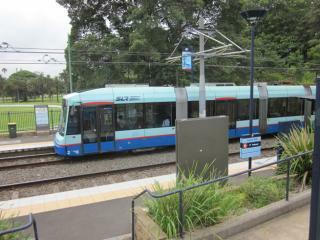 Jubilee Park light rail station to Ferry Road.This is a level walk of 2 kilometres. 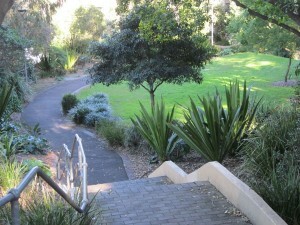 Discover pocket parks, an unusual feature of Glebe; this walk takes you to ten of them.